The gospel of Mark mentions Jesus teaching and performing miracles in the synagogue at Capernaum. 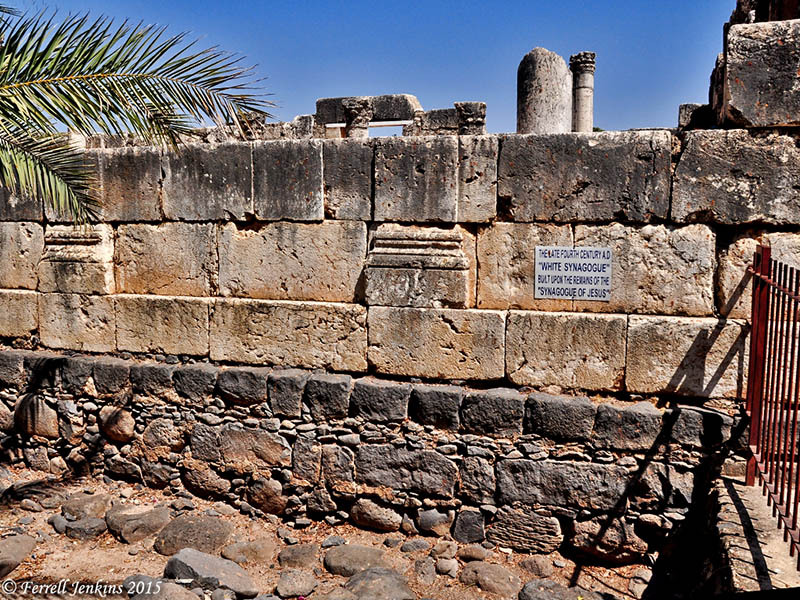 A synagogue has been partially reconstructed from the archaeological ruins at Capernaum. Scholars differ on the age of the synagogue with opinions ranging from the late second century to the fifth century. Italian archaeologists who excavated the site in 1981 say the synagogue dates to the Byzantine period (late fourth or early fifth century). Israeli scholars tend to place the synagogue in the second/third century. The Italians think they have found the basalt ruins of the first century synagogue under the floor of the fourth/fifth century one. You can see part of that black basalt foundation to the left of the steps. They believe that this earlier synagogue is the one built by the Roman centurion (Luke 5:1-5). The reconstructed synagogue at Capernaum. Photo by Ferrell Jenkins. Our photo below shows a closer view of the basalt foundation. The black basalt foundation is visible under the white limestone building. Photo by Ferrell Jenkins. Several articles about the Capernaum synagogue are available in Biblical Archaeology Review (1982 and 1983). 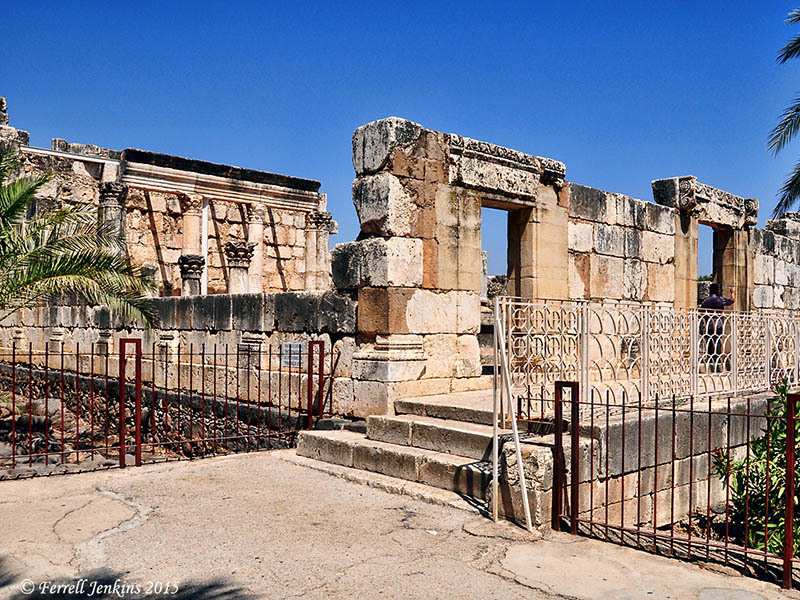 This entry was posted in Archaeology, Bible Places, Bible Study, Israel, New Testament, Photography, Travel and tagged jewish synagogues, Ministry of Jesus. Bookmark the permalink.